Andy Cohen Says “Real Housewives Of New Jersey” Season 5 Is Going To Be Amazing! 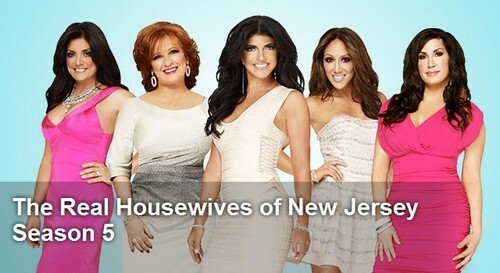 Andy Cohen has said that The Real Housewives of New Jersey‘s newest season is going to take a lot of fans by storm, simply because of all the unexpected drama that went down during filming. As we all know, a massive fight broke out last week after Melissa Gorga’s husband confronted a bunch of people who were talking bad about his wife. Seeing by this new fight that broke out a couple of days ago, it’s fair to say that Teresa still won’t get along with any of her co-stars, Jacqueline Laurita, Caroline Manzo and for obvious reasons, Melissa. Fans can expect more craziness from Giudice as she continues her bickering; there’s also no doubt that she’ll deny spreading rumors about people which was the reason last week’s fight went down in the first place, but that’s just Teresa’s character, right? Ha. Meanwhile, the show is also said to be focusing on Jacqueline’s son, Nicholas, who was recently diagnosed with autism while Caroline will continue to reminisce how fast time has gone by as she helps her children start careers of their own.